Learn how to choose Probability Distributions and reduce uncertainty in this 17 page guide. 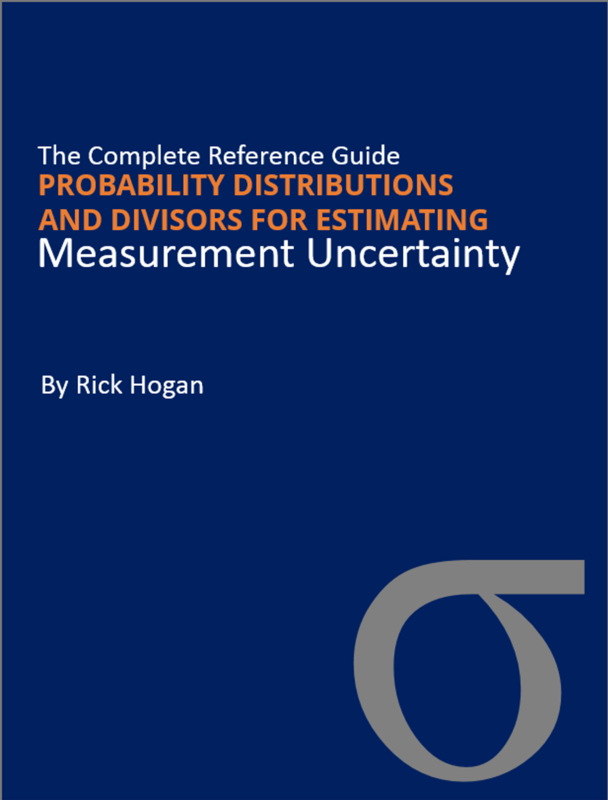 It is a must have if you calculate uncertainty. 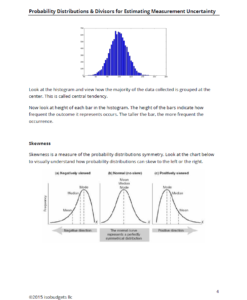 Probability Distributions and Divisors for Measurement Uncertainty Analysis is a comprehensive guide that will teach you how to identify the most common probability distributions used in uncertainty analysis. 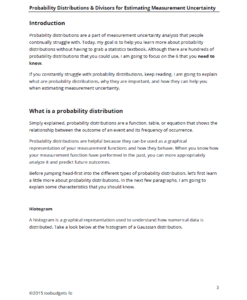 Additionally, I will teach you how to reduce uncertainty to standard deviation equivalents based the probability distribution. 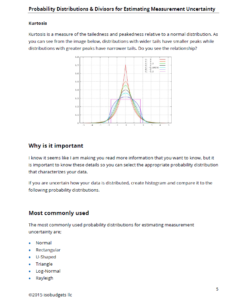 Plus, I have provided some great explanations and example measurement scenarios to help you understand what probability distribution you should choose for your uncertainty sources and why you should use them. 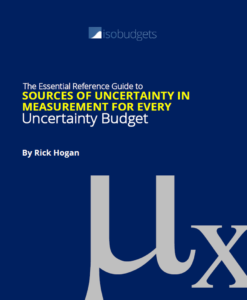 This is an excellent reference guide for anyone that calculates uncertainty in measurement. 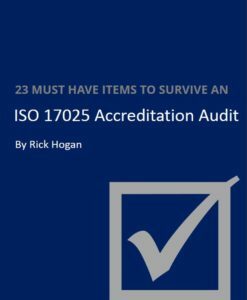 Especially, laboratories that are ISO/IEC 17025 accredited. 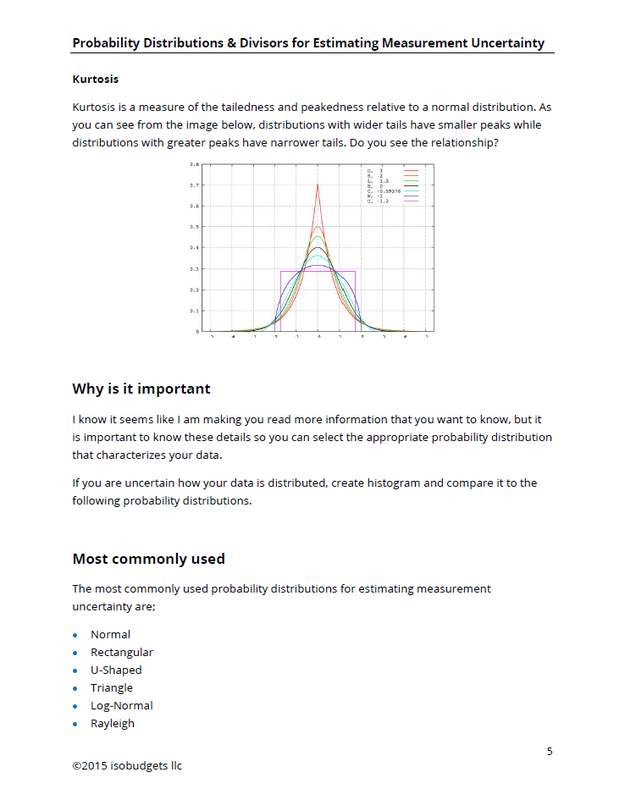 6 most common probability distributions. Divisors for each probability distribution. 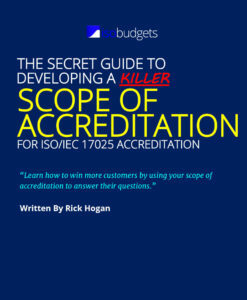 How to reduce measurement uncertainty to 1-sigma. 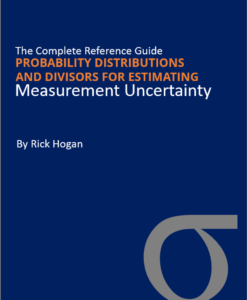 After searching for an uncertainty guide that covered probability distributions, I was never able to find one that provided the information that I needed to calculate uncertainty. So, I spent some time reading various technical guides, papers, and textbooks to compile the information in this guide. 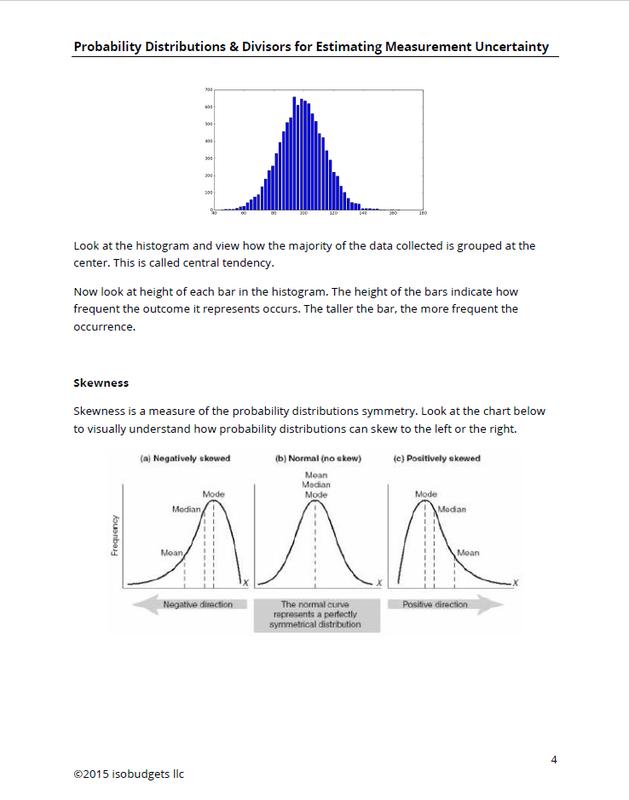 My goal was to make calculating uncertainty easier for myself with great reference material that was readily available. 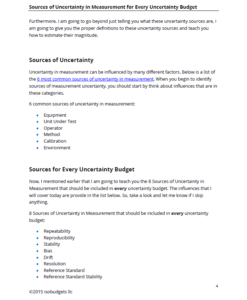 Now, I am releasing my private collection of information related to calculating uncertainty so you too can have great reference material on hand when you need it. Quit searching the internet for useless information. 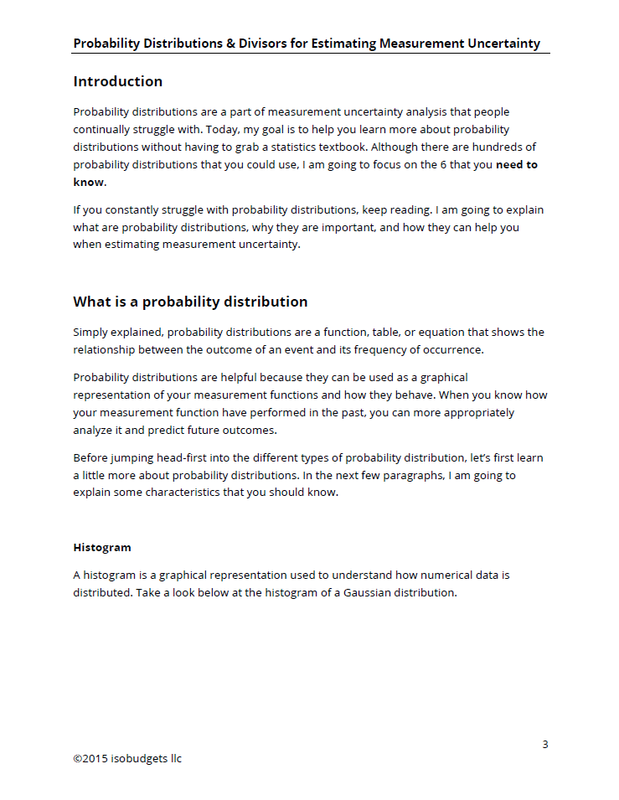 I guarantee my guide will answer your questions and teach you what you want to know about probability distributions.